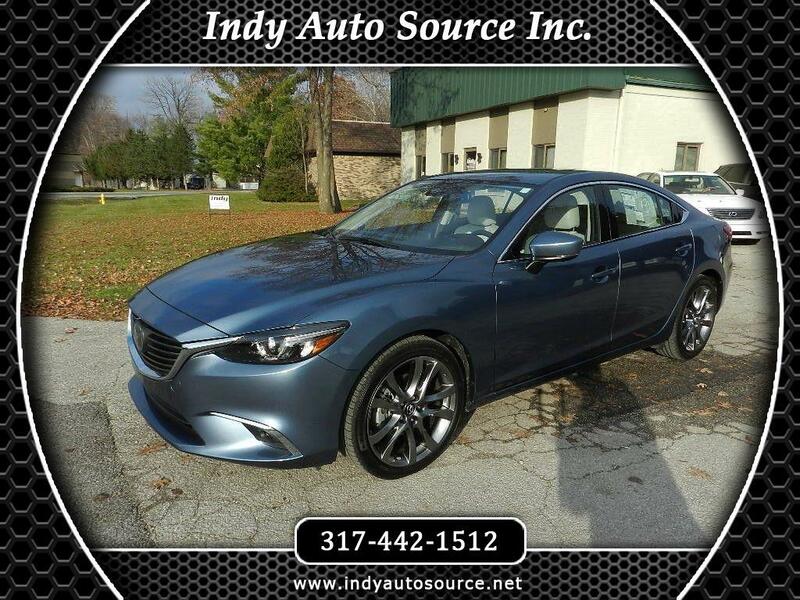 Used 2017 Mazda MAZDA6 Grand Touring for Sale in Carmel IN 46032 Indy Auto Source Inc.
Loaded 1 owner 2017 Mazda 6 Grand Touring with only 7,201 miles. Premium features include; Blind Spot Monitoring, Rear Cross Traffic Alert, Mazda Radar Cruise Control,Traffic Sign Recognition System, Lane Departure Warning, Head Up Display, Navigation, Rear Camera, Power Moon Roof, Heated Seats, Leather Interior, Driver Memory Package, Premium 11 Speaker Bose Audio with Satellite, Alloy Wheels, Side Air Bags, Side Head Curtain Air Bags along with Anti Lock Brakes and Dynamic Stability Control. Balance of Mazda bumper to bumper warranty applies until 3-31- 2020 with power train warranty remaining until 3-31-2022. Carfax Certified and in new condition inside and out. Financing is available with very affordable monthly payments of $359 per month with sales tax down and lender approval. Apply online at indyautosource.net. Call today with any questions or to schedule your test drive at 317-442-1512. Be sure to read our customer reviews on both Cars.com Dealer Reviews and Google Reviews by using our links located in the top right corner of our homepage at indyautosource.net. Message: Thought you might be interested in this 2017 Mazda MAZDA6.